Price Reduced! 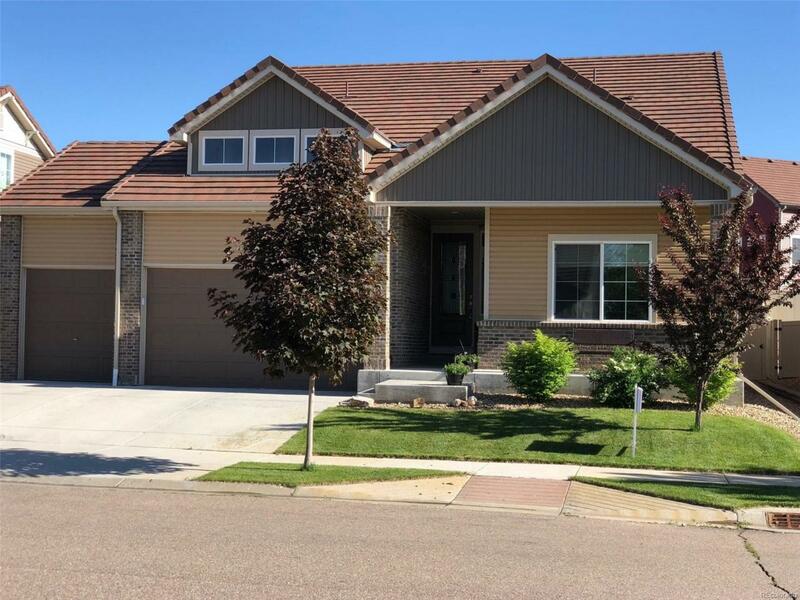 !Beautiful 3 bedroom, 3 bath ranch in the popular Thompson River Ranch area! Right as you walk in, you will experience an open concept home that includes a functional luxury kitchen, with plenty of room to gather around the granite slab island. The master suite offers a quiet retreat area, a large walk-in spa shower and walk-in closet. With a second bedroom or study, and laundry on the main floor, you can easily enjoy main floor living! The second floor offers guests an additional bedroom with connecting full bath, and a space to call their own with a Smart Space loft area. The unfinished basement offers extra storage or it's yours to finish as you please.Other features include 3 car garage, premium artificial turf, oversized back patio, central air, upgraded wood floors, crown molded maple kona cabinets, stainless steel appliances including gas range, and covered front porch. This home is move-in ready!